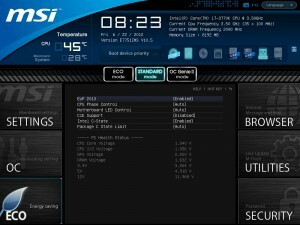 When Ivy Bridge CPUs were released, Intel also chose to unveil a series of new chipsets to go along with the processors. 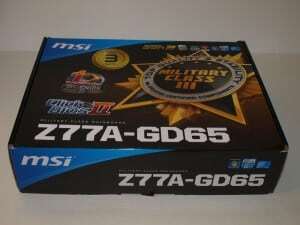 MSI was kind enough to send one of their newest boards based on the Z77 chipset, the Z77A- GD65. While this board is not the highest end board they have to offer from their lineup (GD80 is right now), it does offer a bunch of features that you will need while leaving out the ones you most likely won’t. Shall we dive into things and take a look at this board? The Z77A-GD65 offers up features like Military Class components, OC Genie and Instant OC that stand out from the competition. 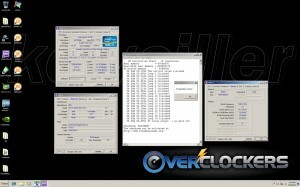 Winki 3 is a free Linux-based O/S which is based on the Linux core. With an ultra-fast booting speed and a multi-language interface, the built-in Winki 3 provides an easy-to-use internet environment that includes the most popular functions such as internet surfing, web mail, instant messaging, picture browsing, and more. It’s the most practical way to be online in the shortest time. 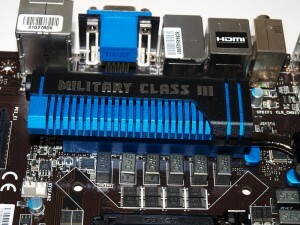 MSI mainboards maintains the commitment to product stability and reliability by introducing Military Class III components! In addition to the use of Hi-c CAP, SFC, and Solid CAP, MSI now incorporates DrMOS II, the next-generation DrMOS that provides an integrated Double Thermal Protection to maximize the lifespan of components. 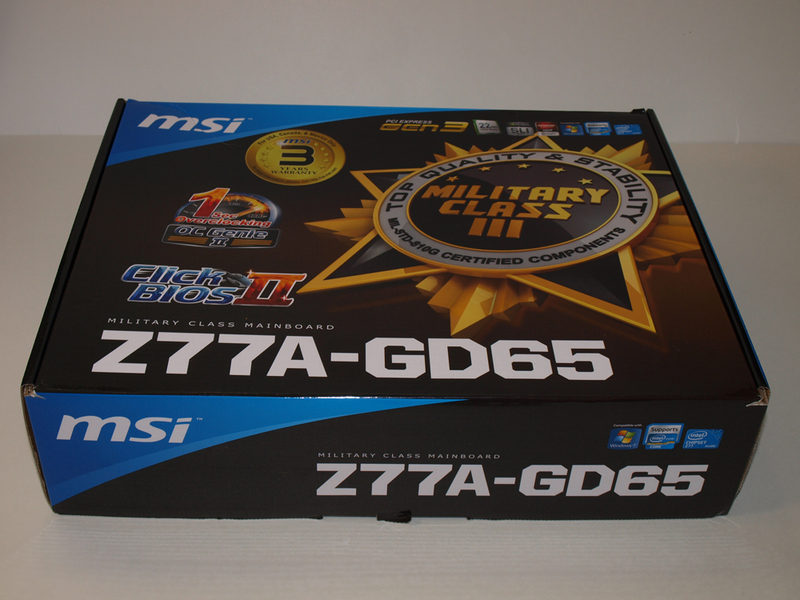 All Military Class III components have passed MIL-STD-810G certification, making MSI’s Military Class III components synonymous with premium quality and ultimate stability. 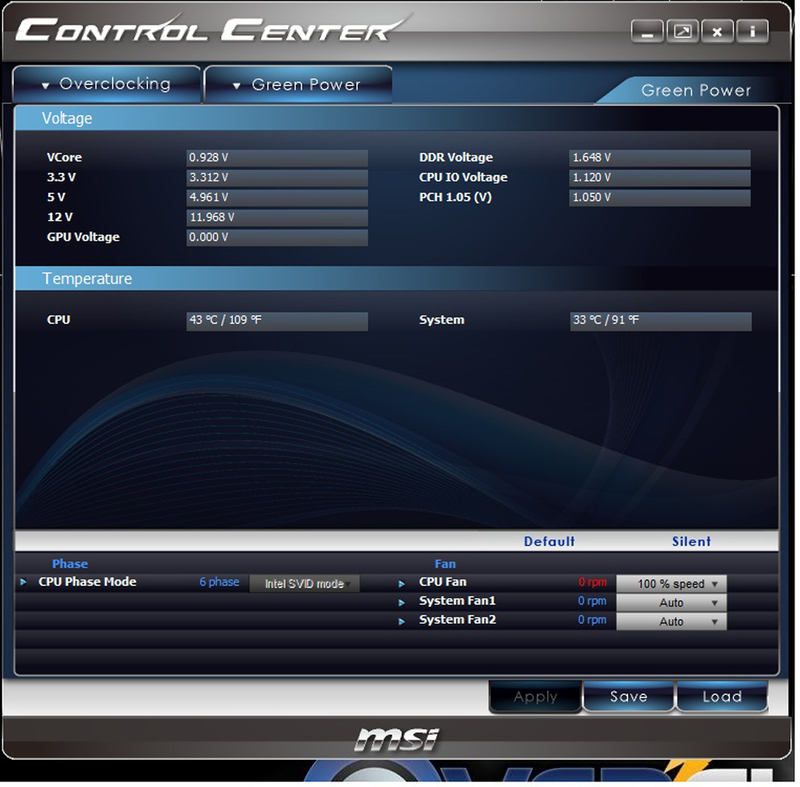 OC Genie II provides an instant performance boost, optimizing CPU, memory, integrated graphics, and storage device performance with the function enabled. 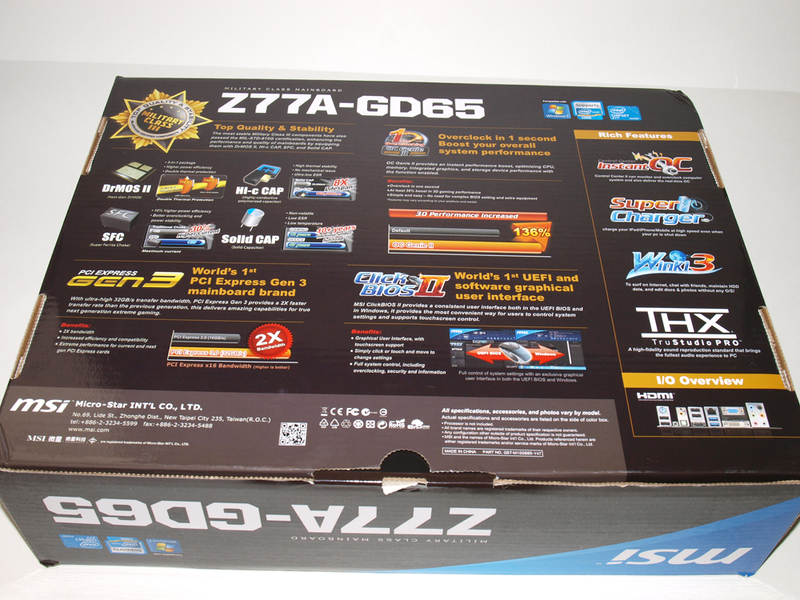 Increasing the thickness of the gold-plated layer in the 2-in-1 PS2 and optimized USB ports to 30um to meet the demand of professional gamers. 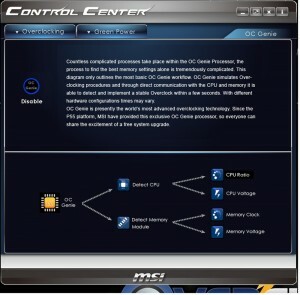 Besides enhancing mouse sensitivity in games, these improved interfaces deliver a longer lifespan and better stability of connectors and total solution for e-sports mouse control in UEFI BIOS. Boosts gaming responsiveness performance by intelligently reducing redundant rendering tasks in the flow between the CPU, GPU and the display. THX is a trade mark of a high-end audio/visual reproduction standard for movies, home theaters, computer speakers and other audio devices. THX Certified Audio products are designed to let users experience movies & videos as live show. The true sound effect can make high definition video more powerful. Mobile consumer appliances are getting more and more attention in current day fast moving life style, with smart phones and tablets almost becoming a fashion accessory. 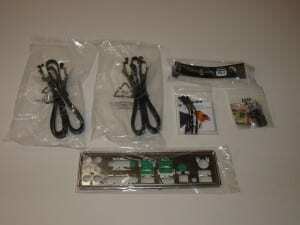 However, many ordinary personal computers cannot charge some of these devices, making it difficult to stay connected. 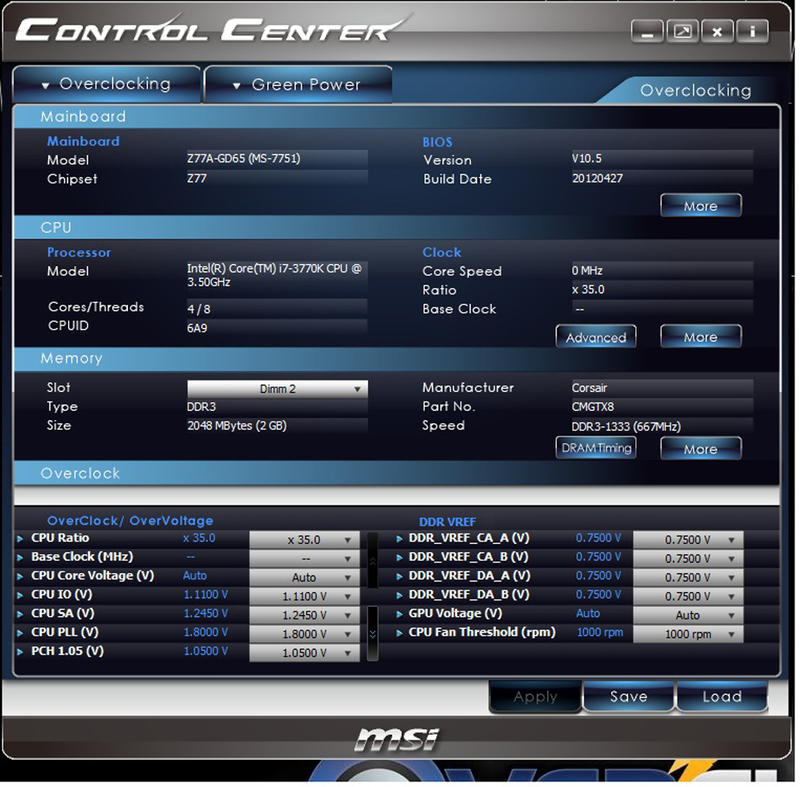 The MSI Super Charger is a Windows resident program capable of revising the power supply mode of your USB port to become more powerful. Once your phone or tablet is connected to your USB port, the Super Charger sends a signal to initiate its charging circuit, making it a really smart and convenient charging solution for mobile computing needs. Compared to the 480Mbps provided by traditional USB 2.0, the all-new USB 3.0’s 5Gb/s offers 10 times the transfer bandwidth, so transferring a Blu-ray movie takes less than one minute. 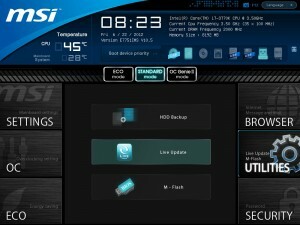 MSI also has implemented a front panel USB 3.0 port, making the use of an external USB 3.0 device even more convenient. 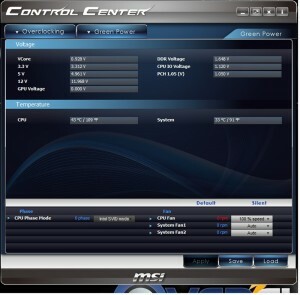 SATA 6Gb/s provides double the bandwidth of traditional SATA 3Gb/s, and increases the data transfer rate between your mainboard and internal storage devices, such as 7200RPM HDDs, 10000RPM HDDs and SSDs. It’s also the current trend for upcoming high-speed internal storage devices to to break the existing bottleneck of a PC’s performance. HDMI (High-Definition Multimedia Interface) is new generation fully digital video/audio interface which can transfer 1080p High-Definition video and Audio output in single compact connector. Supporting HDCP copy protection such as Blu-ray Discs, HDMI provides you with the highest-quality home theater experience. 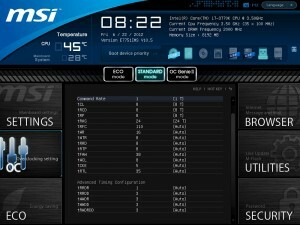 Active Phase Switching, APS, technology is an intelligent design that helps to save energy on MSI’s mainboards. The underlying idea is to switch off the power supply as soon as no electricity is needed, and when the system needs more resources again, APS will automatically adjust electricity supply accordingly. APS will automatically detect your processor’s loading at any given time and save energy accordingly. This is only possible by means of a very advanced power controlling technology. Other than software-based solutions, APS technology stands out from MSI’s own research. 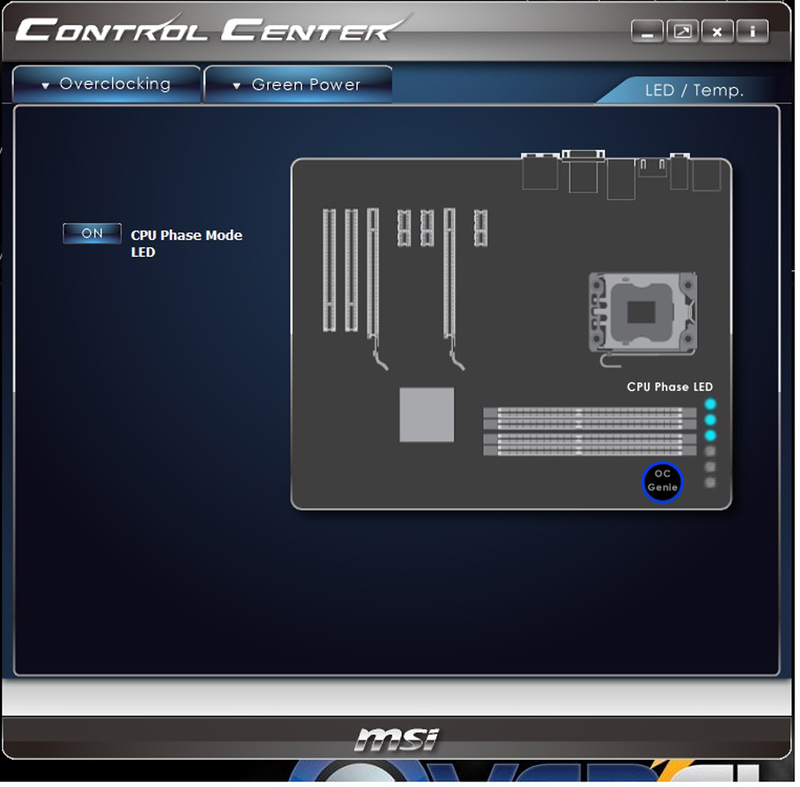 The specially developed IC chip can operate automatically depending on the demands of the power supply, which is to reduce the total power usage. 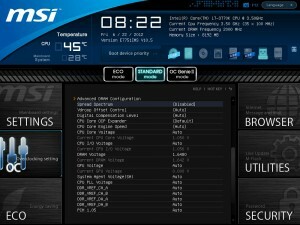 SLI technology allows using multiple Nvidia graphics cards in a single computer system with a mainboard equipped with an nForce SLI MCP. 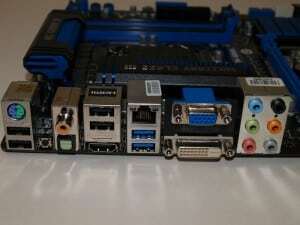 Users need an a mainboard with two PCI-Express 16x graphics slots and two matching GeForce graphics cards which are “SLI Ready”. 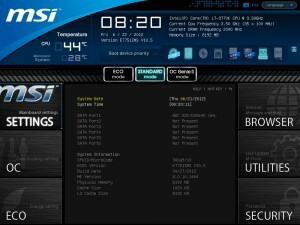 Most NVIDIA’s PCI-Express graphics cards starting from the 6600 GPU can enjoy the benefits of SLI. 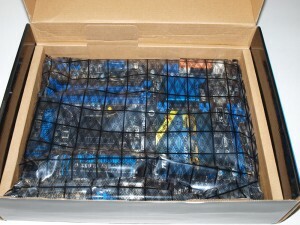 When you first take a look at the box you get a subtle hint that this motherboard uses Military Class III components. 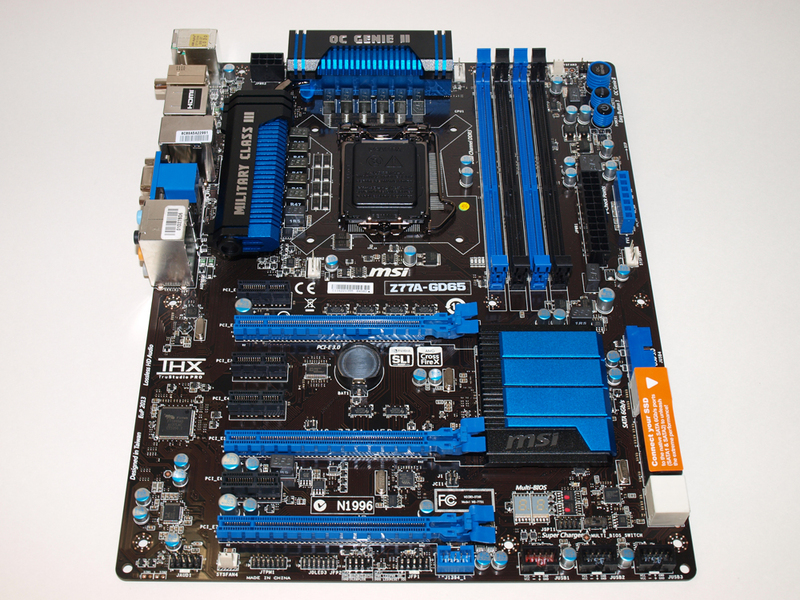 By subtle, I mean there is a huge picture on the front making sure to remind you that this board does not use cheap components. Around the rest of the box you get reminded of the various other features including OC Genie II, Click Bios II, PCI express Gen 3, DrMOS II and more. 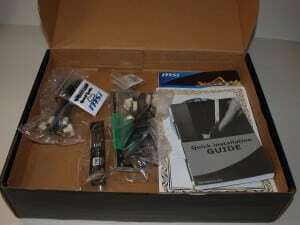 Opening the box up, I found your standard accessories, including SATA cables, backplate, driver disk , manuals and cables to assist in using the voltage read points. 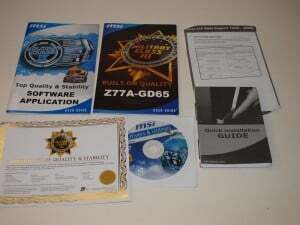 There is a pretty cool certificate of Quality and Stability to show that the components have passed military level testing. One thing I really wish MSI included was a case badge, I have to say I am a sucker for them. The fact that they do not include one is not really a big deal though. 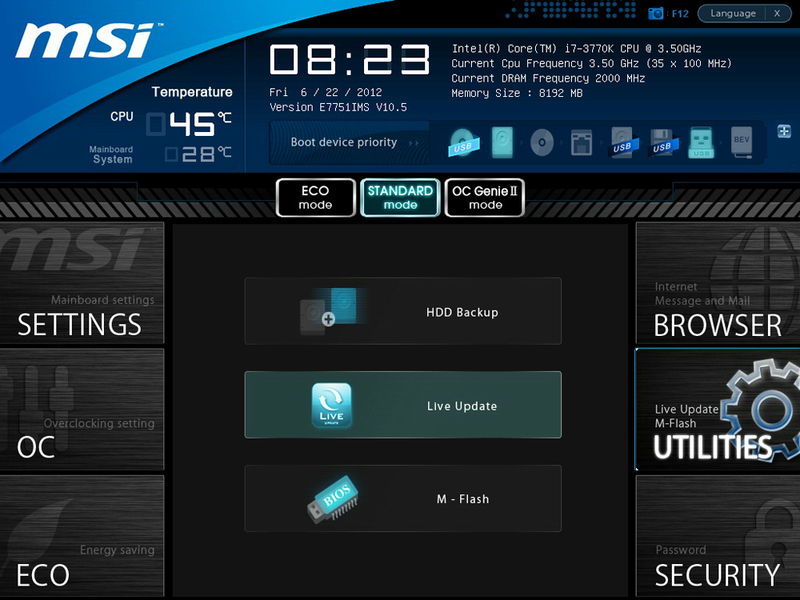 At first glance, the layout of the is quite appealing, both visually and in terms of actual placement of components. 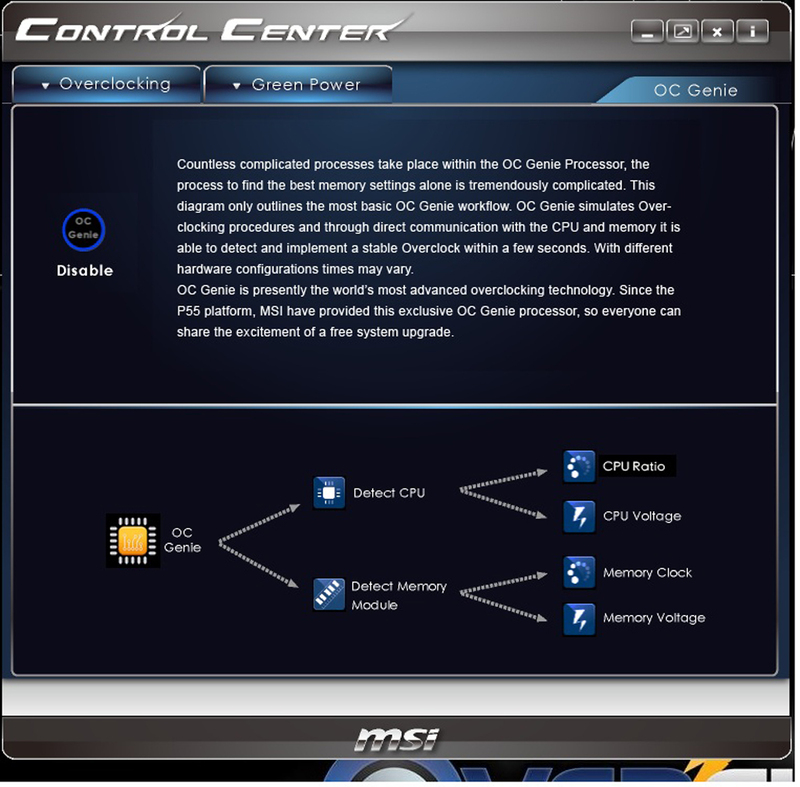 There is sufficient spacing should you choose to go the multiple video card route. 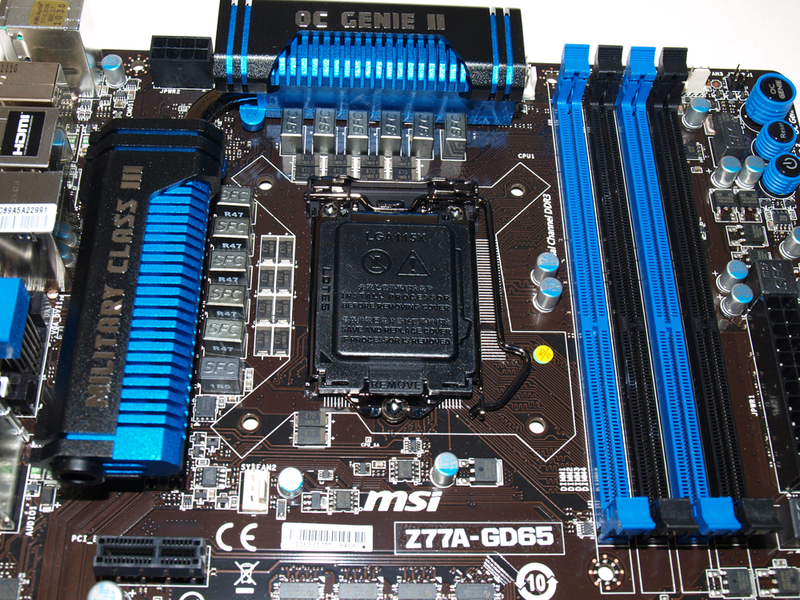 There is a PCI-e 1x slot above the main PCI-e 16x slot to allow you to use an expansion card, even if you choose to go for a 3-way GPU setup. Keep in mind that you will not be able to run all of the GPU’s at the full 16x PCIe lanes. With one card it will run at 16x, with two cards it drops down to 8x and 8x, with three cards it drops again to 8x, 4x, 4x with an Ivy Bridge processor. 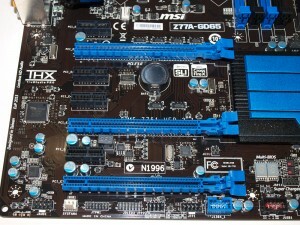 When using a Sandy Bridge chip you get 16x with one card or 8x and 8x with two cards. 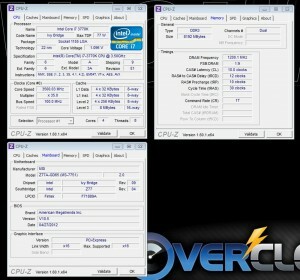 Keep in mind, there is no ability to use three cards with Sandy Bridge. 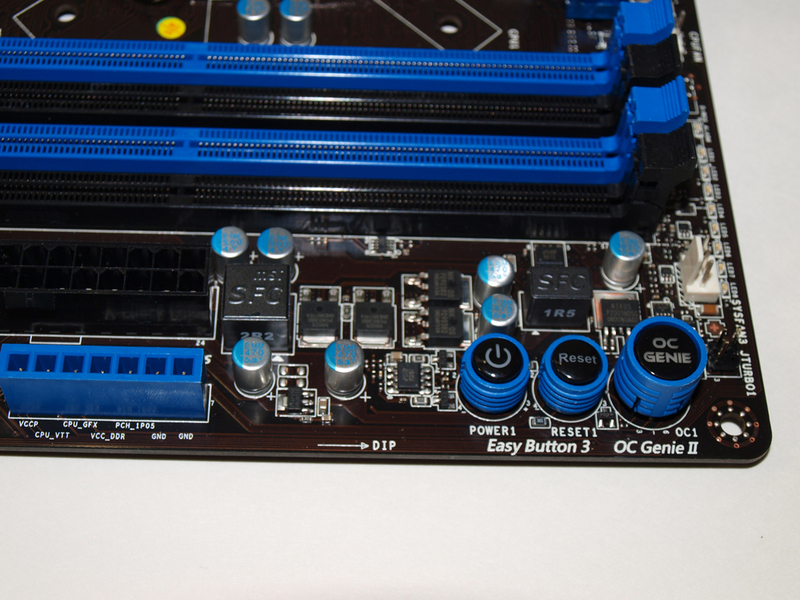 The socket area is not completely clear, but it does give enough space for people using large heatsinks, a waterblock or those who need to insulate the area and use extreme cooling. 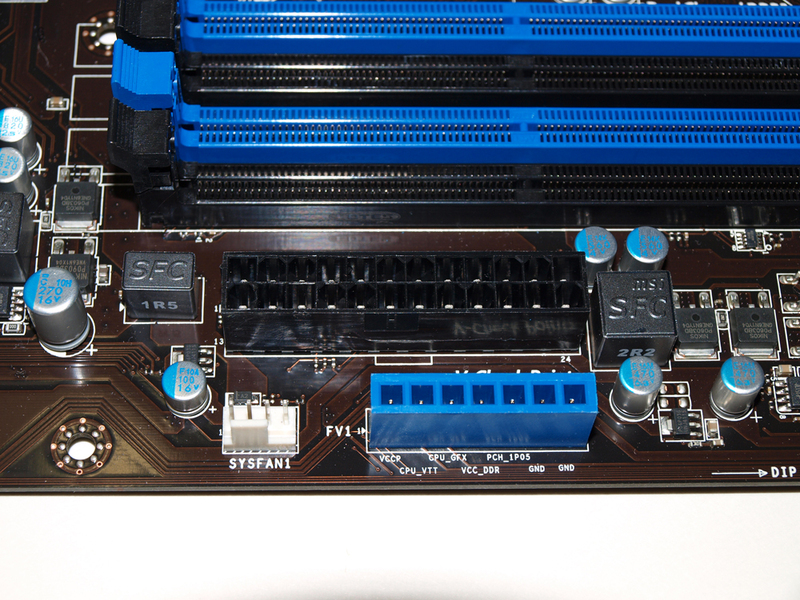 Four ram slots, voltage check points and lots of other buttons we’ll go over further on in the review. This board is loaded with features and does not look to disappoint at all. Upon closer inspection, there are several aspects of this board that I truly love. More SATA ports are always a nice bonus. 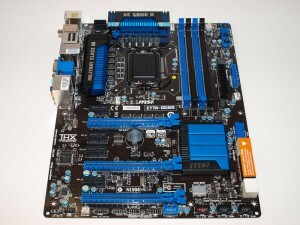 Some other boards in this price range only have six while the GD65 has eight. 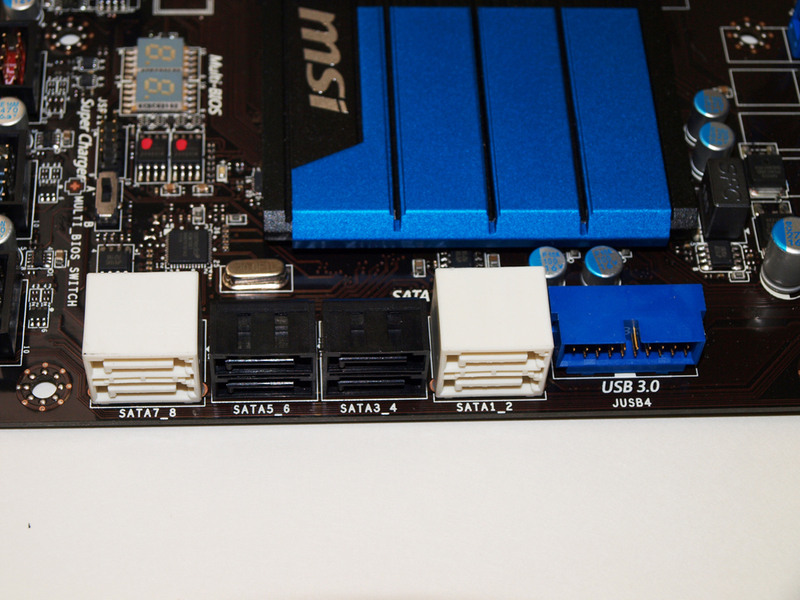 I really like the fact that the adapter for the front USB 3.0 ports is at an angle. This makes sure that the plug is not in the way and is more easily hidden through cable management in cases. 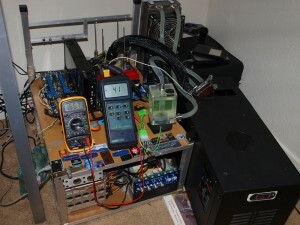 Moving along you get voltage check points which are great for overclockers who want to manually check voltages using a multimeter (since software readings are often note entirely accurate). Three big physical buttons are located at the top of the board. Power, Reset and OC Genie II. The latter is a button that will automatically overclock your system to rather reasonable levels without needing to work at doing so yourself. 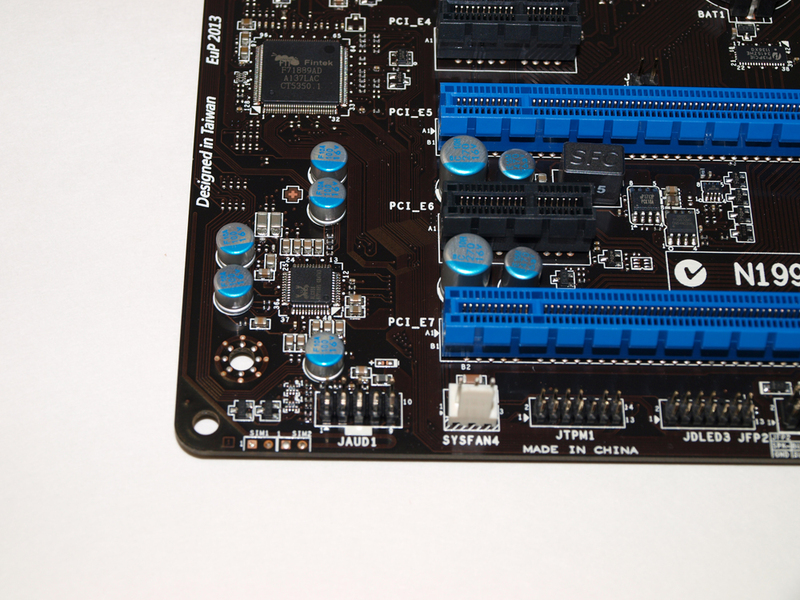 Five motherboard fan headers are available, three of which are of the 4-pin PWM variety so you can limit or ramp up fan speed to suit your personal needs. 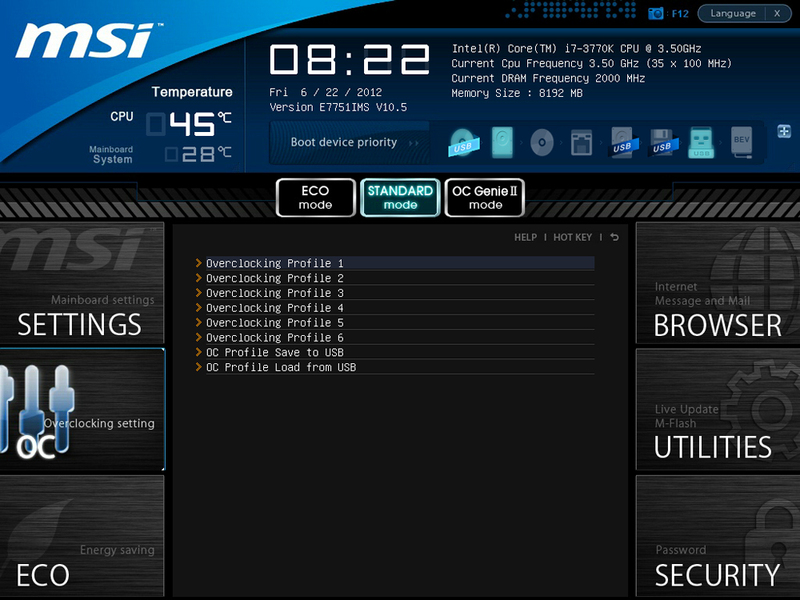 You also get two bios chips on the board and a debug LED screen. Around the CPU socket you get a beefy power section. 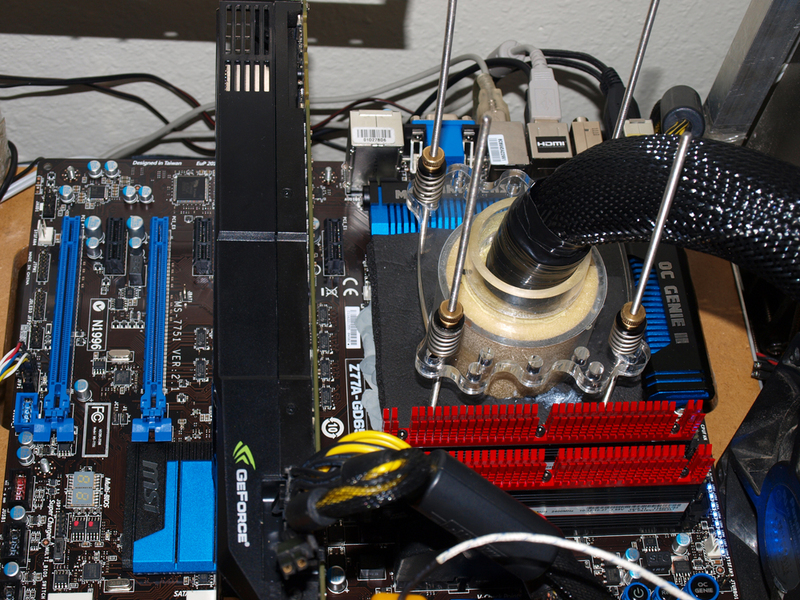 Those heatsinks worked properly and kept the power section pretty cool throughout testing. 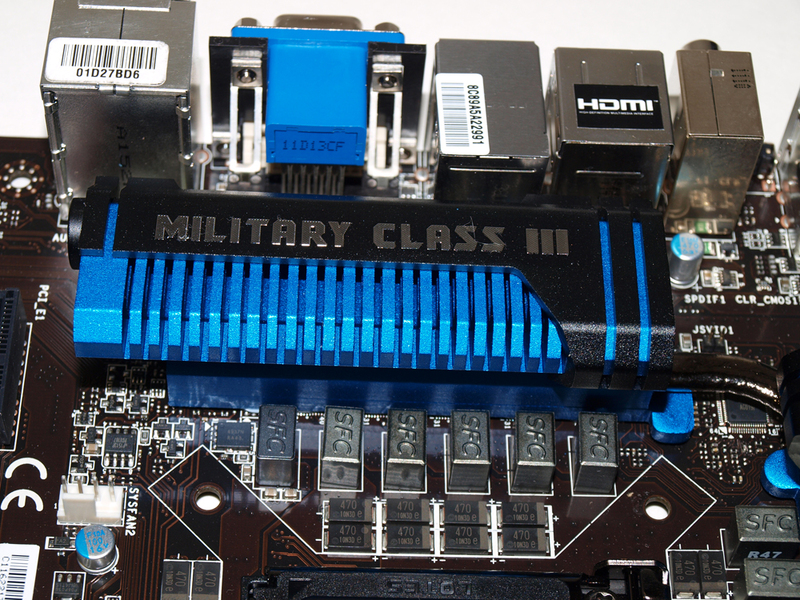 The Military grade components are really doing their job providing cool, efficient power. The rear I/O area is relatively solid. 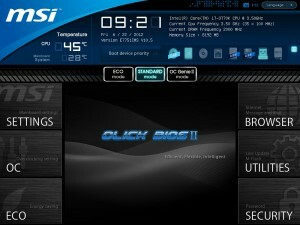 You get lots of connectivity as well as a BIOS reset button. 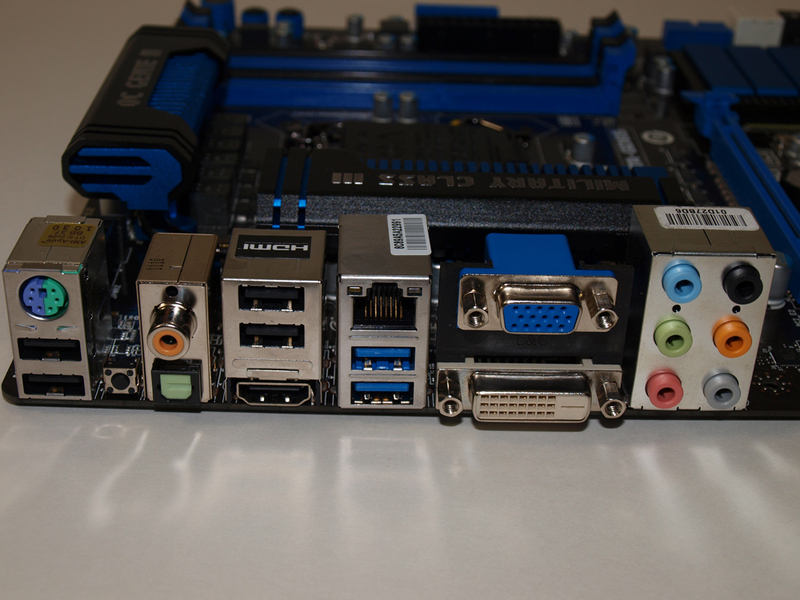 If I could change one thing, I would remove the optical out/SPDIF ports and add two to four more USB ports. You can’t have it all though, and if the amount of USB ports is not enough for you, there are plenty of connections to add-on front panel (or rear) ports. 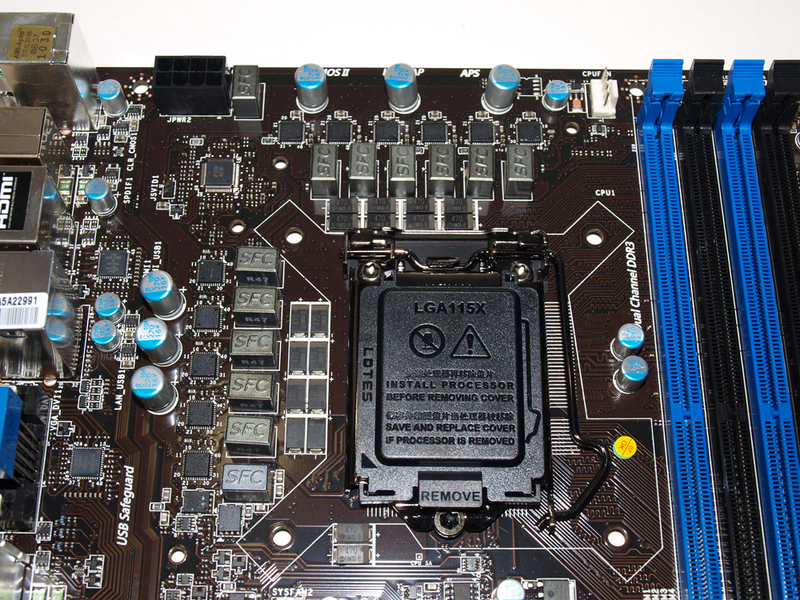 If you like to use a bunch of expansion slots, this board had got you covered, provided all your cards are relatively new. There are no legacy PCI slots, so if you are thinking about this board it would be a good time to throw away any old card you’ve been hanging on to. 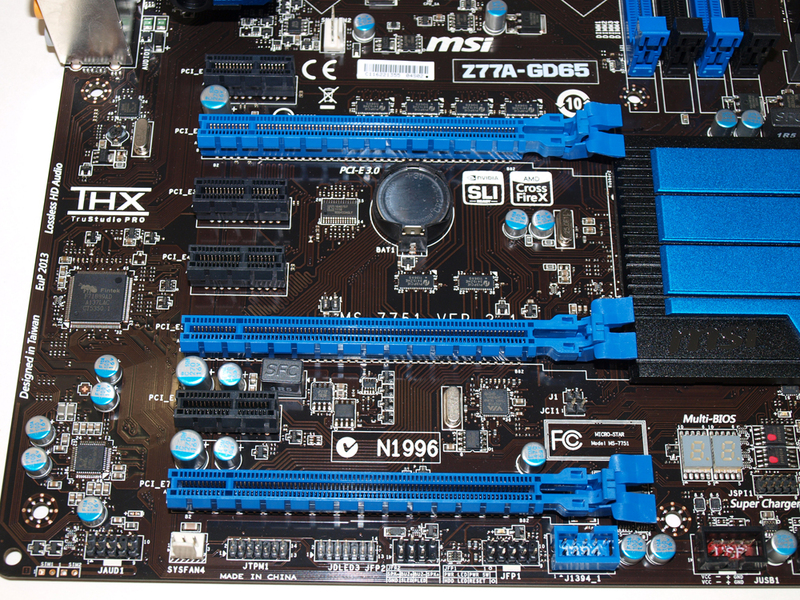 Four 1x PCIe slots and three full sized slots make up the expansion card area. Full-sized cards can be run at 16x in the top slot in a single card configuration. 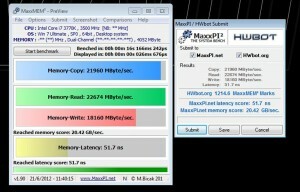 With an Ivy Bridge chip the ability to use three cards exists. These can run at 16x for a single card, 8x and 8x for two cards, or 8x , 4x and 4x for a three card setup. 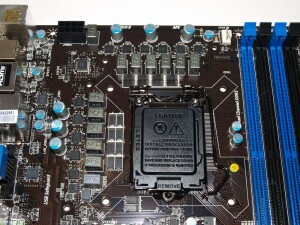 Using a Sandy Bridge chip you can use 16x with a single card or 8x and 8x with a dual-card setup, but as mentioned earlier, a three card setup cannot be used with a Sandy Bridge chip. The BIOSof this board is interesting to say the least. There are tons of settings for pretty much everything you could ever want to mess with. 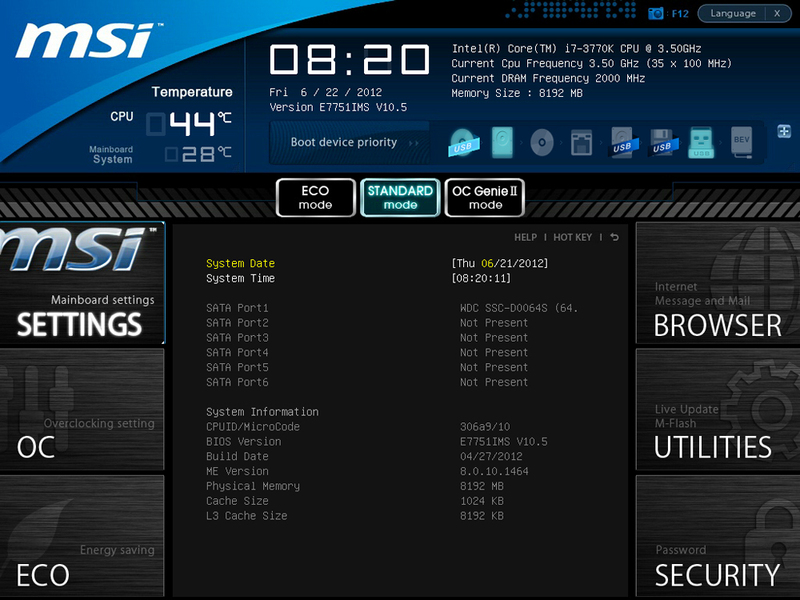 For the most part this BIOS is very stable. I was quite impressed with the fact that my mouse properly worked with this revision. After testing various boards from different manufacturers, I had not really had UEFI work properly with my mouse up until now. 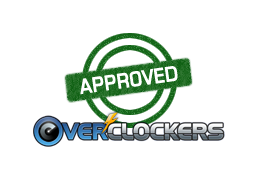 Aside from the basic settings everyone expects, like system time or the ability to manage onboard devices, there are some detailed settings when it comes to overclocking. There are also a few settings for those people who want to try and cut power usage as much as possible using the ECO menu of settings. 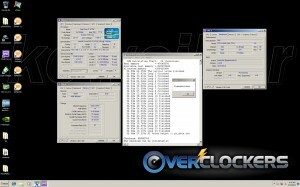 Control center is a Windows overclocking utility. Controlling voltages and other settings is as easy as choosing a different setting within Windows. 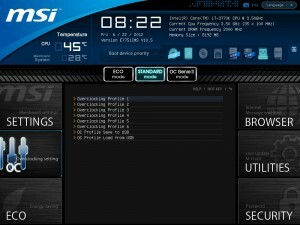 I would really like to see MSI work on the stability of the program. It uses lots of resources when starting up so it increases the chance of crashing for people that are on the bleeding edge of stability. Here comes the fun, the actual results. Stock testing was a breeze. At stock clocks the Ivy Bridge chip runs nice and cool. The only settings that were changed were the memory settings. Main timings were set, voltage was set and we were off. Stock testing was not very exciting with everything set to AUTO. 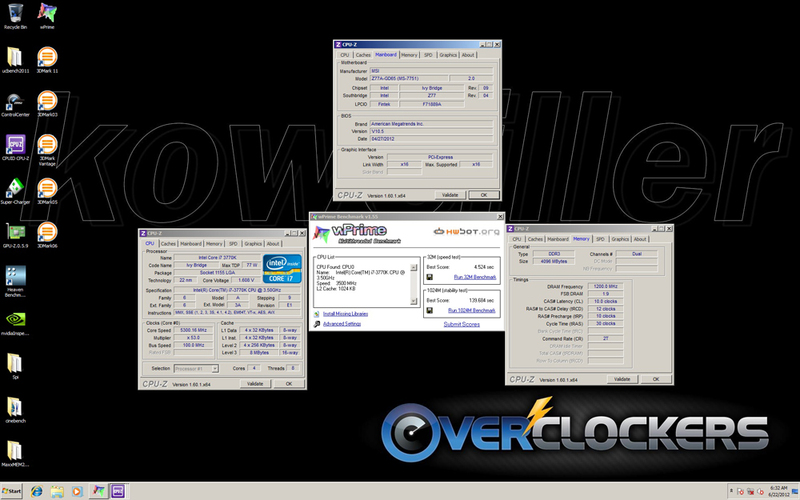 After the stock testing we got down to the real fun, overclocking. 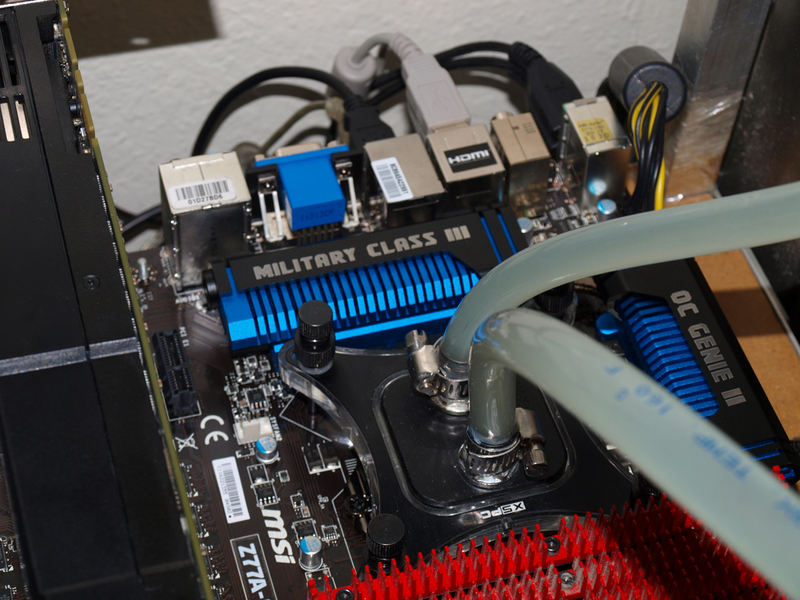 At first overclocking results were going to be done using a conventional watercooling loop. Temperatures were fine for the chip throughout testing on water, but I did run into a problem. 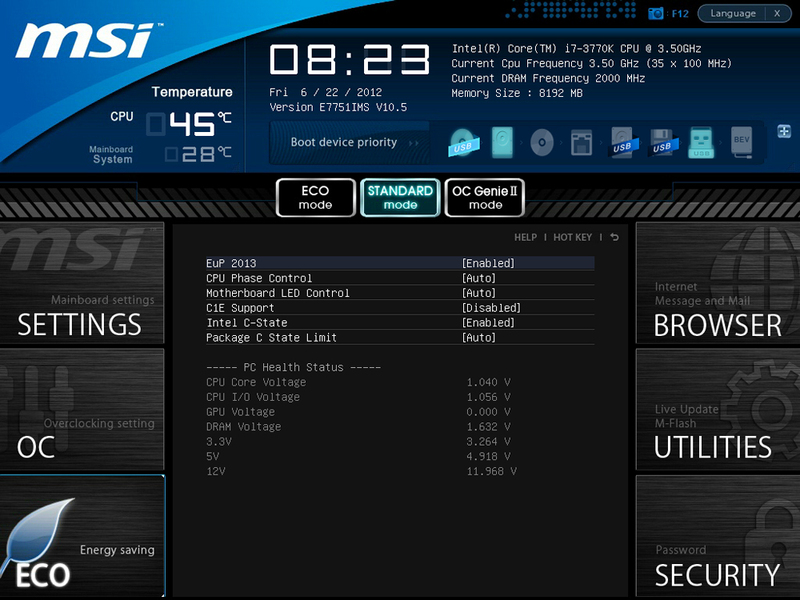 The GD65 has an issue where there is a decent amount of voltage drop compared to what is set in the BIOS. 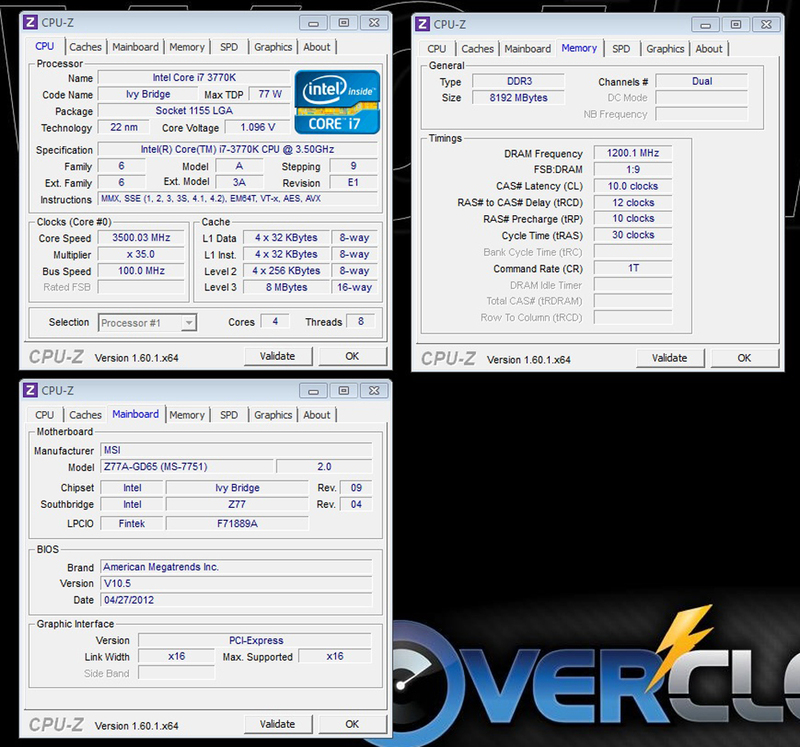 For example, I attempted to use 1.36v on the CPU throughout overclocked testing but I ran into quite a few crashes at 4.7 GHz. As it turns out, the board was lowering the voltage to 1.33v at idle and 1.3v at load. While this is not common it is not exactly unseen . I first suspected that Load Line Calibration was not set correctly so I manually changed it to 100% and the voltages stayed the same 1.33v idle and 1.3v at load. So, thinking that it was possible that lower settings could equal higher amounts of LLC I set it to 25%. This was met with 1.29v at idle and a big crash when a load was applied. 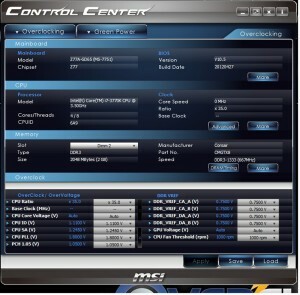 I have a feeling that MSI could iron out these problems with a quick update, but as of this writing there had not been a new BIOS since May. 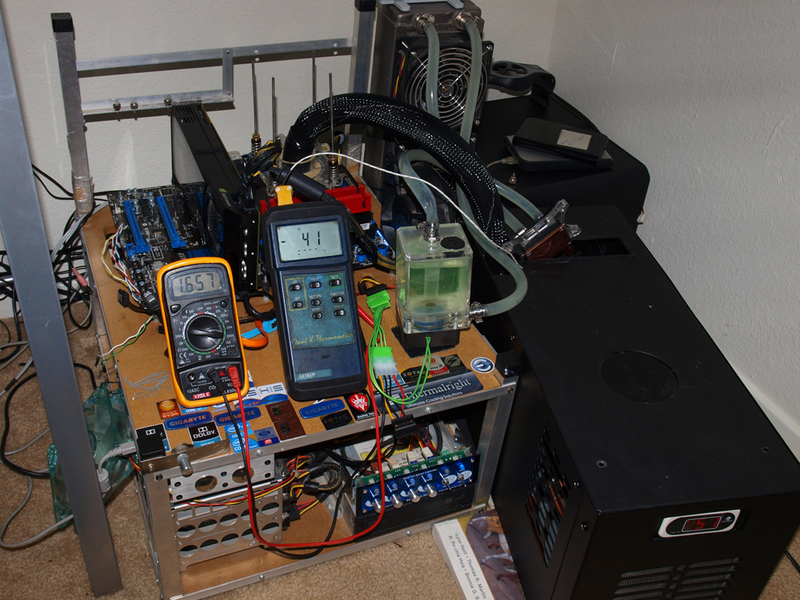 Instead of doing ambient overclocking testing like most people do, I decided to go a different route: extreme cooling using a single stage phase change setup. 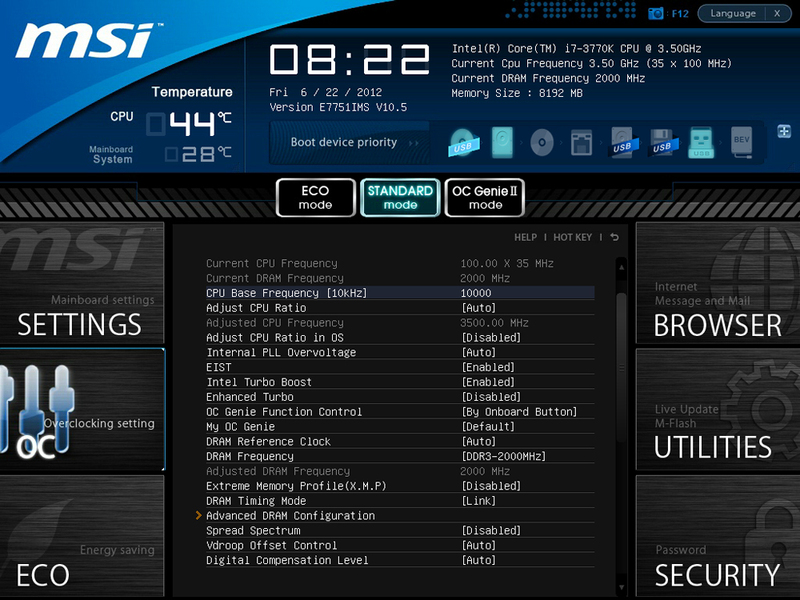 This cools the processor to around 50 °C below zero. 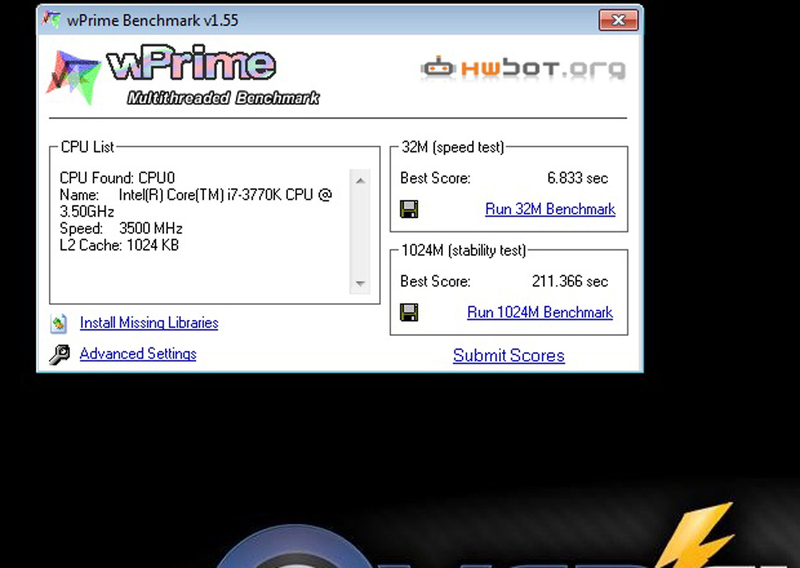 Clocks were run at 5.3 GHz with 4-cores and hyperthreading on. Further testing outside of this review found that this chip could also run at 5.5 GHz with 2-cores, any more cores or a higher frequency resulted in crashes due to overheating. One thing I found really odd throughout subzero testing was the fact that voltages were more stable using subzero temperatures. 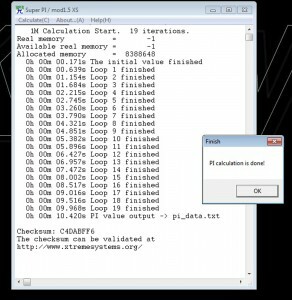 1.68v in bios lead to 1.66v at idle and 1.65v under load using the highest load line calibration settings. 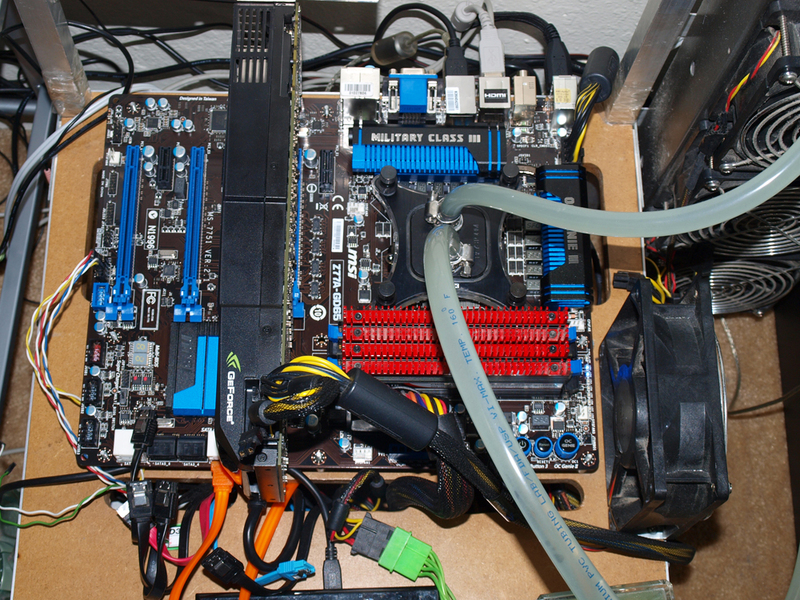 What caused this, I have no idea but that is quite good news for extreme overclockers. 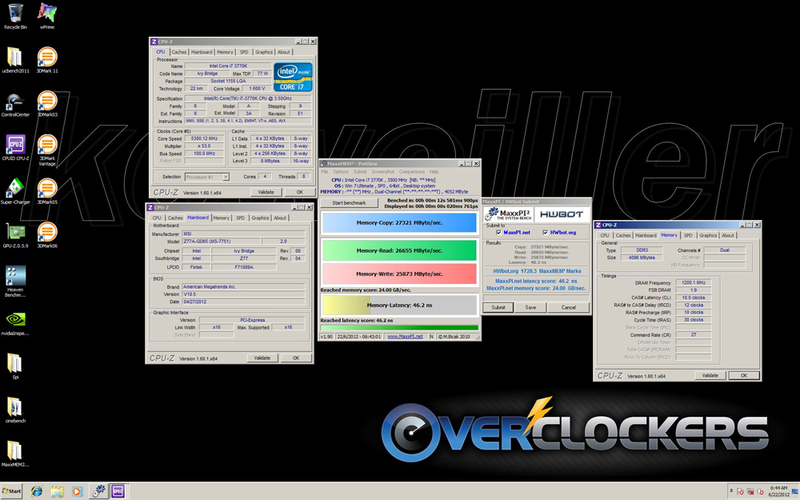 Memory overclocking on this board is nice and stable. 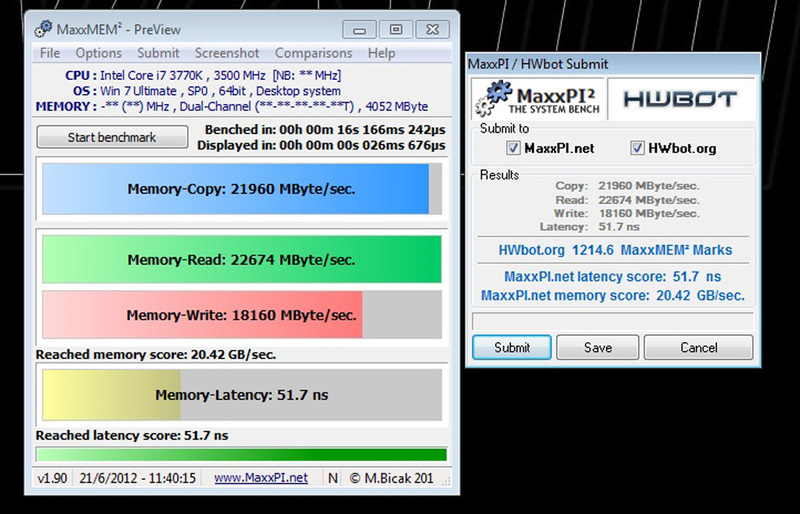 I was able to achieve the following result by merely changing the main timings with the Dominator GTX8 sticks. A couple of other memory sets ran great and overclocked well throughout my experience with this board. 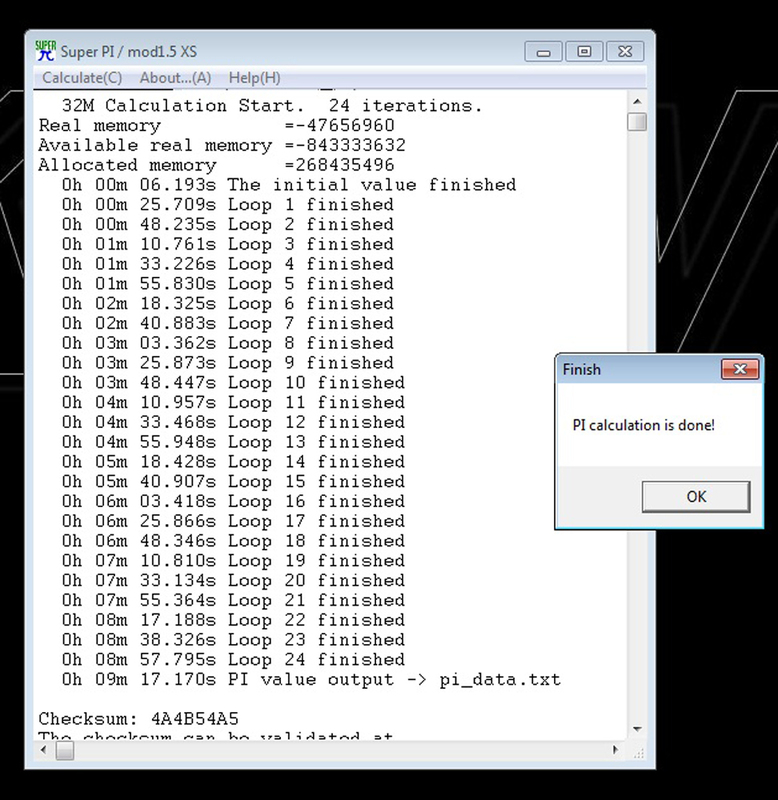 But I did run into an issue with some memory using Powerchip IC’s. They simply failed to run at the rated speeds no mater what timings or voltage was used. 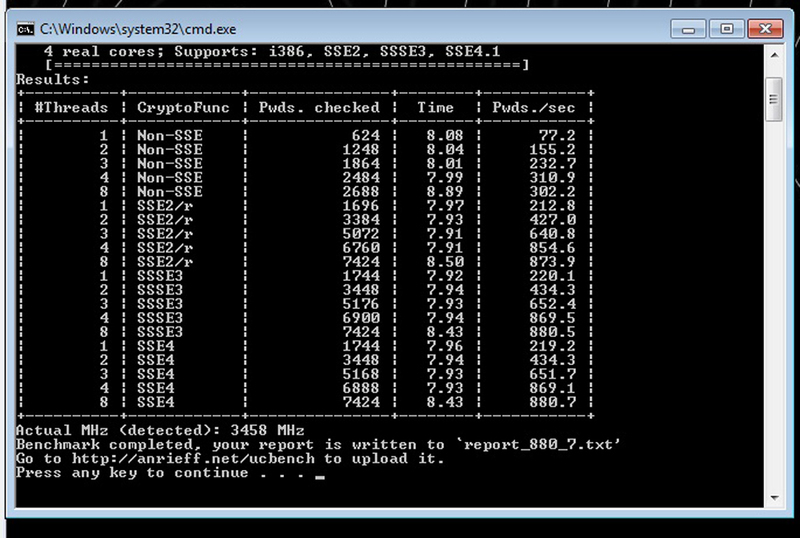 Just stay away from older PSC-based memory and you should have no issues. My testing with this board was like a big roller coaster. Stock testing went flawlessly and I was definitely impressed by the feature set when I first got the board. After a few hickups during ambient overclocking, due to crashes from vdroop and vdrop at my set voltage level, I decided to go straight to extreme cooling. Well, low and behold that is where this board truly shines. I was able to run for hours on end at voltage levels most people would be scared of and frequencies that push the limits of the chip. I guess that really makes a dilemma for those interested in this board. Daily overclocking can be done but you just need to be more careful using voltages. 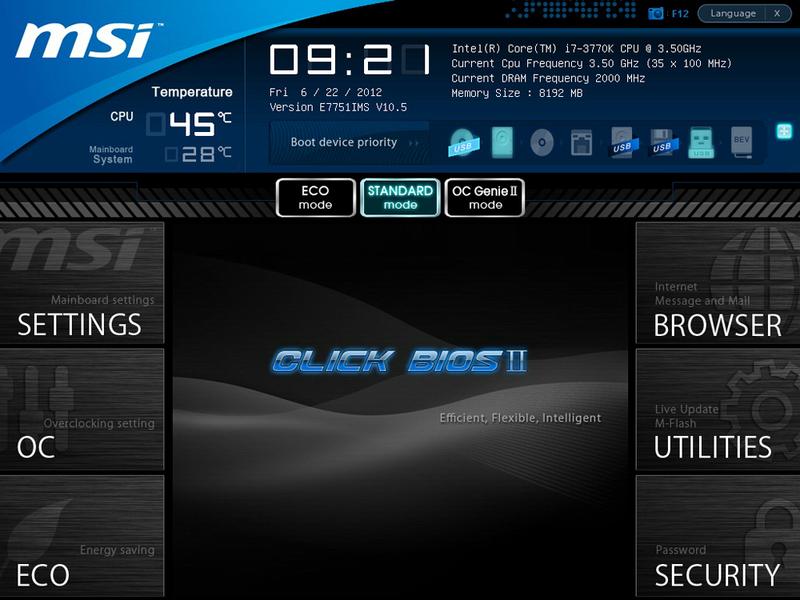 Keep in mind that what you set in BIOS may not be applied propely. 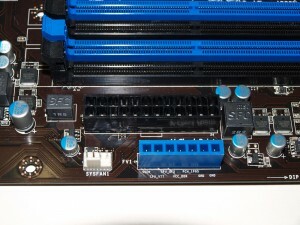 Extreme overclockers will find this board rock solid and great to work with under sub-zero conditions, but the overclocking software could really use some work if you want to go out there and set new world records. 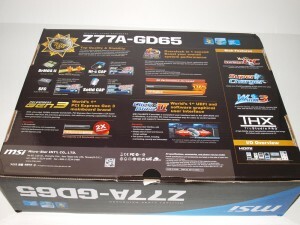 At the time of writing, the Z77A-GD65 could be found for $159.99+shipping from Newegg. The price would be perfect if shipping wasn’t extra but you can’t have it all. Overall I have to say this board is quite good. 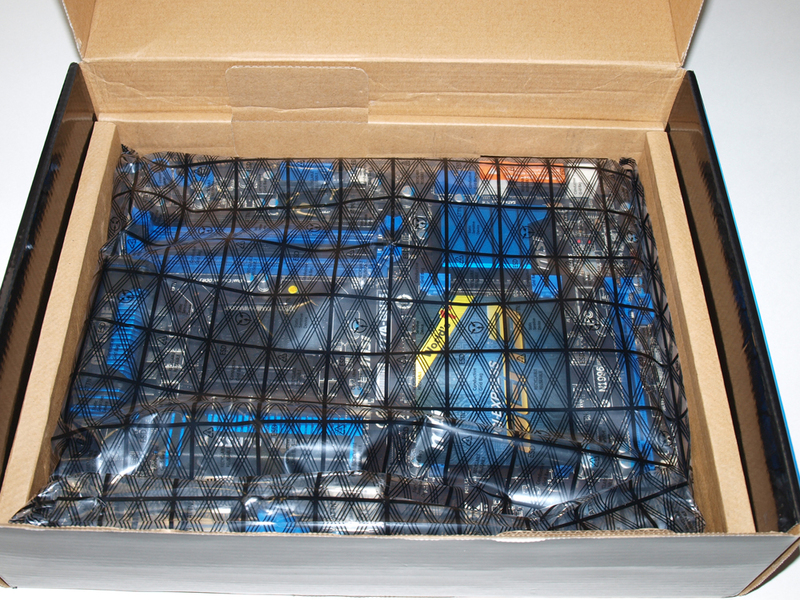 While it sure isn’t the best motherboard I’ve ever used, it is a good value. You can’t go wrong with this board, especially if you are interested in using it to push your chip to its limits. Wow, so it seems it really is a jewel for extreme cooling!! I never considered MSi, for bad experiences, but if it's that good for extreme, maybe when I go extreme benching, if I ever go, I give MSi a try. The board really is great for extreme cooling. 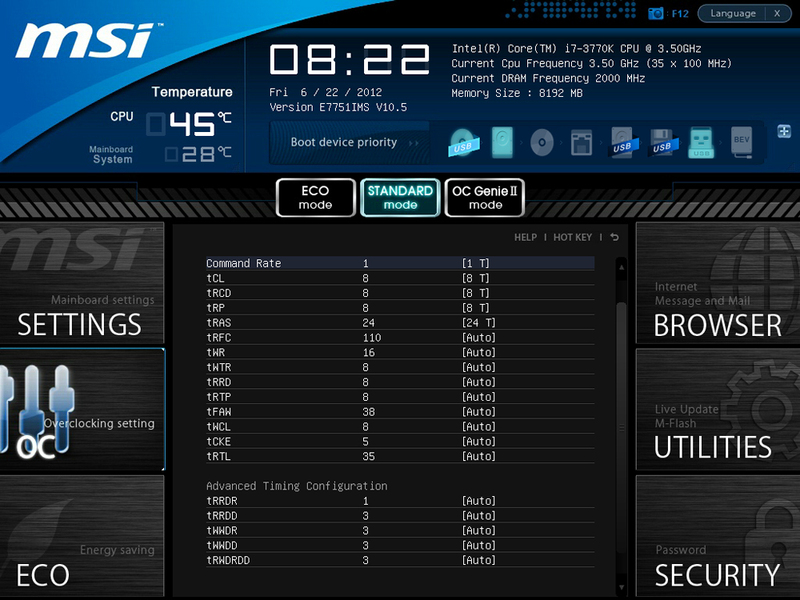 It isn't bad on ambient cooling, but the bios does need to be updated so the voltage drop/droop problem will go away. Thanks for the good work and your thoroughness. 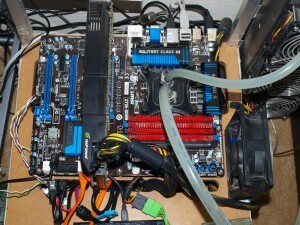 I'm still dinking around researching components for an IB build as well as stacking up the requisite pile 'o cash. I'd had a friend recommend the MSI Z77A-G45 as he was pleased with it. 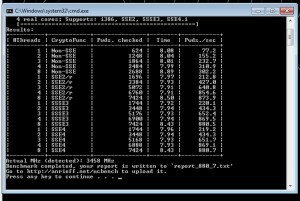 I'm running an MSI mini-880GM-E43 currently and understand what you're saying about BIOS upgrades. Seems it's hard for most MB manufacturers to get it right before RTM.